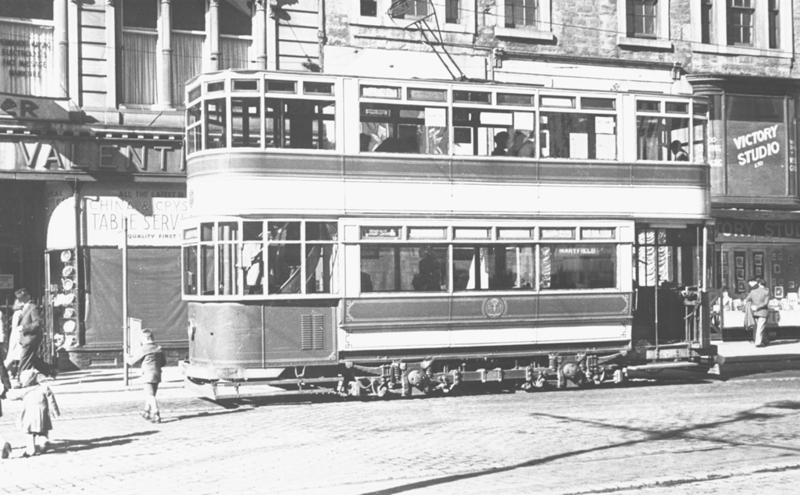 I remember as a child going on a tram from Ninewells to Sinderins on the way to the family doctor up Blackness Avenue for our vaccinations, we had a drink from one of the water fountains. It had a chain with a bell shaped cup on the end. 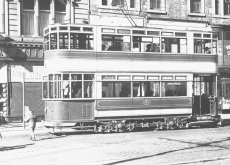 My mother used to get the coach built pram on one end of the tram and the driver used to fix it on. Of course she had to take the baby out. I also remember going up the Lochee road and my mother said 'look at the lovely flowers' which were up on a slope at the park beside Dundee Royal Infirmary. I remember the long seats had little holes in them and if you were lucky you got the best half which had thick red buttoned cushions on them. When the carnival came to Riverside Drive, or the circus, the animals were in cages on trailers and you could walk round and look at then all. Then we would walk home to Invergowrie along the pebble shore, when the tide was out there was a little tunnel under the railway and we cut through there, across wasteland and back up to the main road.